I was expecting it would smell good but oh my, it smells even better! 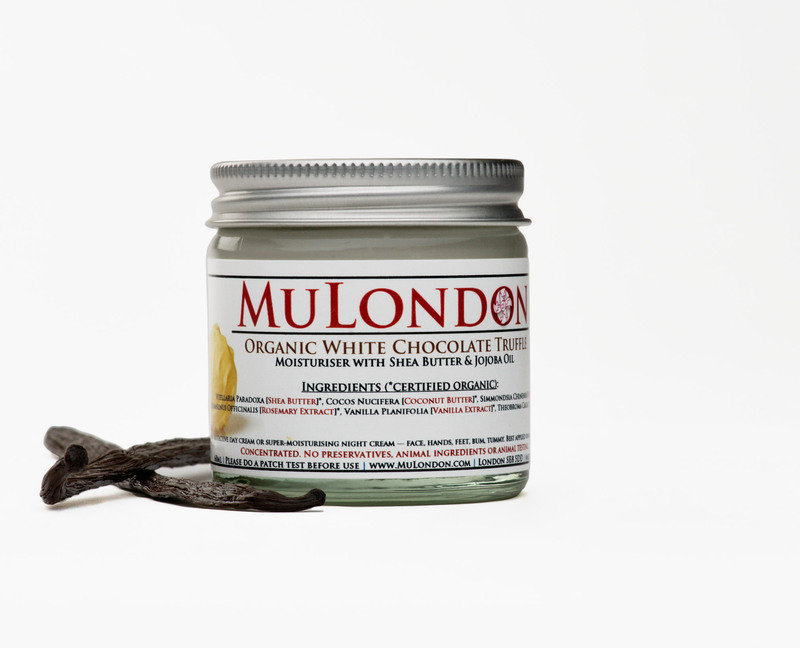 “This week I’ve finally started using the MuLondon Organic White Chocolate Truffle Moisturiser. I think you all know that I’ve been obsessed with their Rose cream, I just couldn’t stop using it! 🙂 So, the chocolate cream smells exactly like white chocolate! I was expecting it would smell good but oh my, it smells even better! It’s a strong and sweet scent, perfect for winter. I thought the texture would be the same as the Rose cream, but it’s much softer, like mousse…” – says Jana from the blog “Small Bits of Loveliness”.